One of the most intriguing events in the real estate market was the announcement in 2014 by a title company that began accepting Bitcoin for real estate purchases. Several real estate companies and sellers have since announced that they’d take cryptocurrency as a form of payment for the sale of real estate. Cryptocurrency like Bitcoin is actual currency in a digital form, similar to online payment processors. The currency uses a form of secure code for transactions. The first form of Bitcoin was introduced in 2009. Today, more than 1,400 versions of cryptocurrency are used for trading online. Bitcoin is the most widely used version of cryptocurrency with an estimated value of $283 billion. One of the most significant issues of the 2014 crash was inferior security, and speculators believe that cryptocurrency is changing that. One of the attractions of cryptocurrency like Bitcoin is the encryption used in the blockchain. The blockchain is the database which can store data on thousands of computers at once. When transactions are conducted, data miners use equations to ensure that the deals are legitimate. Data miners regulate the currency instead of banks, so there are no government regulations. The theory is that the data miners can prevent fraudulent transactions from taking place. If portions of the data are exposed, the encryption prevents the complete database from being compromised. One of the most significant attractions of Bitcoin is that during inflationary periods, actual currency can decrease in value when it’s regulated by banks. Early in February 2018, the Elizabeth Perez Team of the Keyes Company based in Coral Gables, Florida announced that they had closed on the sale of a townhouse in Miami. The significant feature of the sale is that it was only the third cryptocurrency real estate sale in Florida. The Elizabeth Perez Team’s Manuel Perez represented the seller listed the townhouse which is 1,321-square feet. The property sold for $338,878, or 4.35 in Bitcoin. The identities of the buyer and seller were not revealed to protect their privacy. 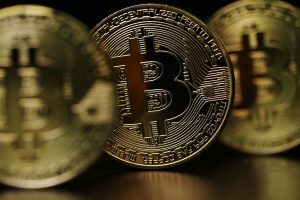 Bitcoin prices have been fluctuating drastically in the last several weeks, so there was a lot of interest in how the transaction was able to proceed. Bitcoin differs from actual currency since 21 million bitcoins may be in circulation at one time and there isn’t a set price associated with the currency. An upper and lower limit is set between the buyer and seller. In the Miami townhouse sale, Manuel Perez stated that a fluctuation limit had been put into place during the time in which the money for the sale of the property was being transferred. USD determined the value of the townhouse and the number of bitcoins used for the purchase. Since there was a limit set for the fluctuation of the price of bitcoin during the transaction, the buyer and seller were both protected. The fluctuation was a minimal amount at the time the sale was completed. Mike Pappas who is the CEO of Keyes, congratulated the team on their successful bitcoin deal. The company is striving to be on top of the latest trends in the industry and is ready to welcome new changes that support sellers and buyers who favor using cryptocurrency for real estate sales. Yaramis Caminero of North Miami was the representative for the buyer. Attorney Jonathan Coto of South Miami closed the deal. It seems that cryptocurrency is an emerging trend in the real estate industry. According to an industry source, already this year at least 37 homes for sale across the country were listed as accepting a form of cryptocurrency for the sale. However, there’s no confirmation as to how many of the transactions have closed. Real estate brokers and investors are speculating that the technology used to create blockchains is a more viable way to record real estate transactions than traditional methods. The field of technology is advancing quickly, but image editing software isn’t as secure as blockchain technology. Blockchain encryption makes it more difficult to alter any of the information on property titles. Cryptocurrency is seen by many as the currency of future generations for business, real estate, and property title transactions. Insiders that have been tracking bitcoin transactions for the last few years have declared that cryptocurrency may be more than a trend for real estate transactions. One realtor researched how many homes currently on the market reference some type of cryptocurrency. She found that 80 listings were stating that bitcoin was an accepted form of payment. One of the attractions of using cryptocurrency for real estate sales is that the cost per transaction costs much less than using traditional forms of currency. For example, to close the sale on a home that lists for $100,000 a bank can charge an average of $4,000 for the closing. However, if a type of cryptocurrency is used for the sale, the closing could cost approximately $10. Another feature that attracts buyer and sellers is verification from banks is a lengthy process, but with cryptocurrency banking regulations don’t enter into the equation. Since blockchain technology uses encryption, the possibility of fraud is greatly reduced. Less paperwork and faster transactions are attracting many buyers and sellers, especially for luxury homes. Blockchains were created especially for use with cryptocurrency, which isn’t backed by any bank or government. The technology makes blockchains more secure than traditional ways to track real estate transactions. All transactions are tracked in real time, showing when the sale was completed and the names of the parties involved. Blockchain technology is better protection against fraud for cash real estate sales.